Bridgetown Comedy Fesival! — Comedian. Actress. Babe. Hey nerds! I'll be in Portland, OR all weekend for the famous Bridgetown Comedy Festival ( it has so many bridges). It's going to be a great weekend with some amazing comedians doing what we do best - drinking. 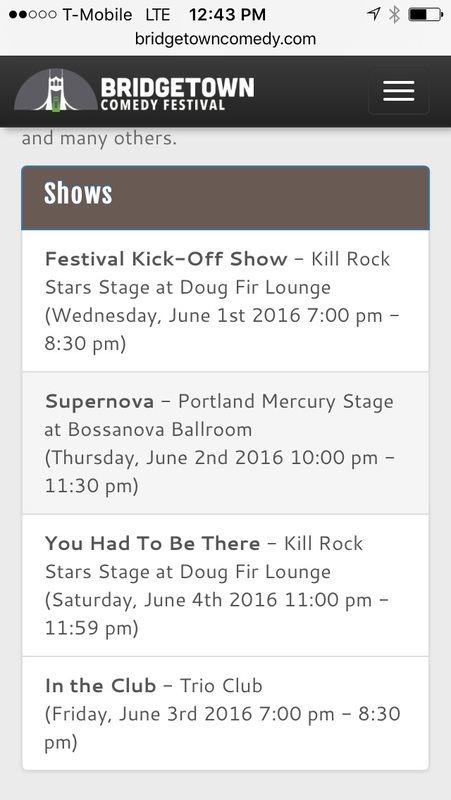 Check out out my shows below taken from a screenshot! I suggest going to Www.bridgetowncomedyfesival.com for more info.